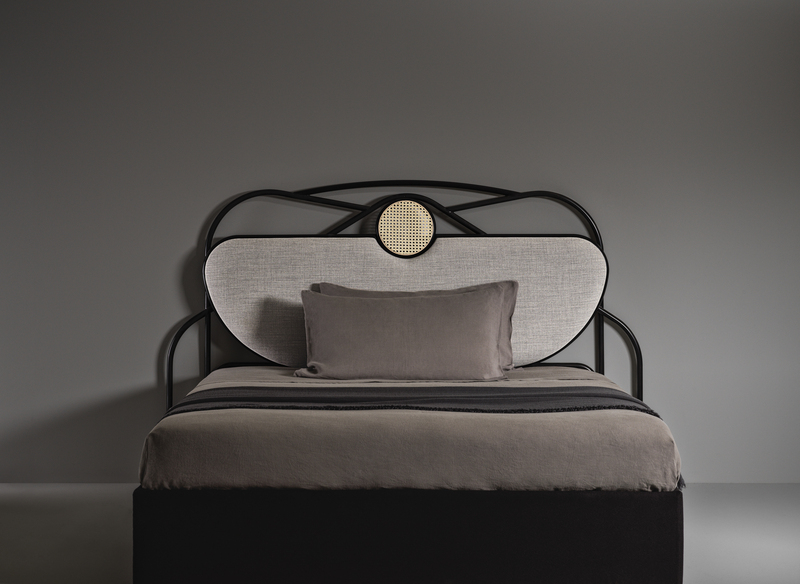 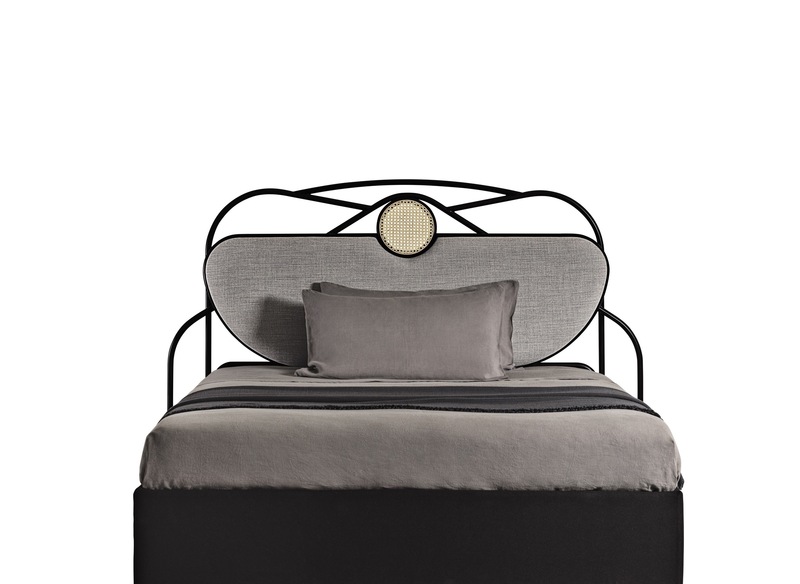 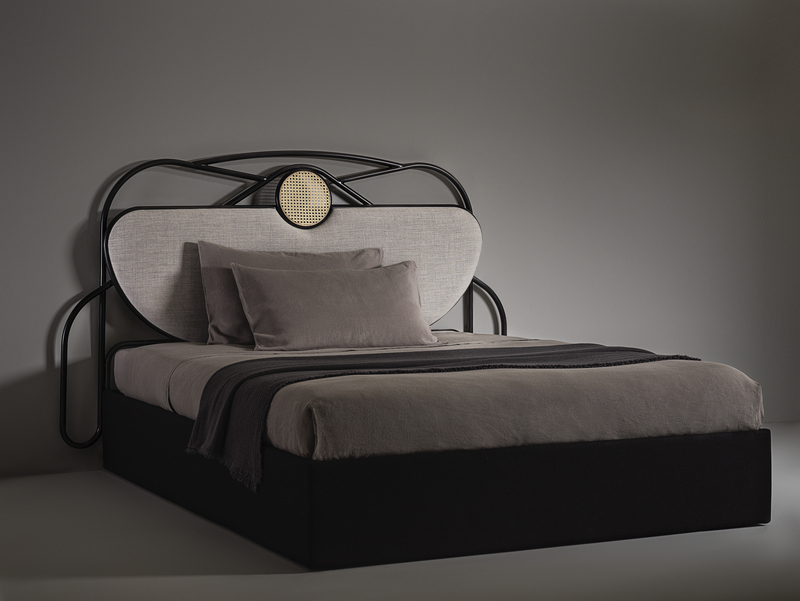 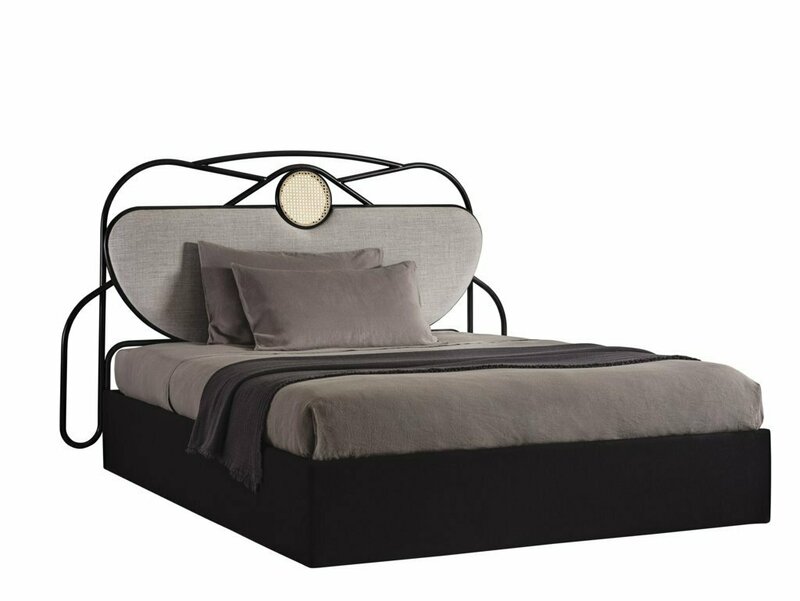 Chiara Andreatti has drawn heavily on the decorative forms of the Belle Époque for her YVETTE headboard, which combines subtle femininity with a bold creative spark. 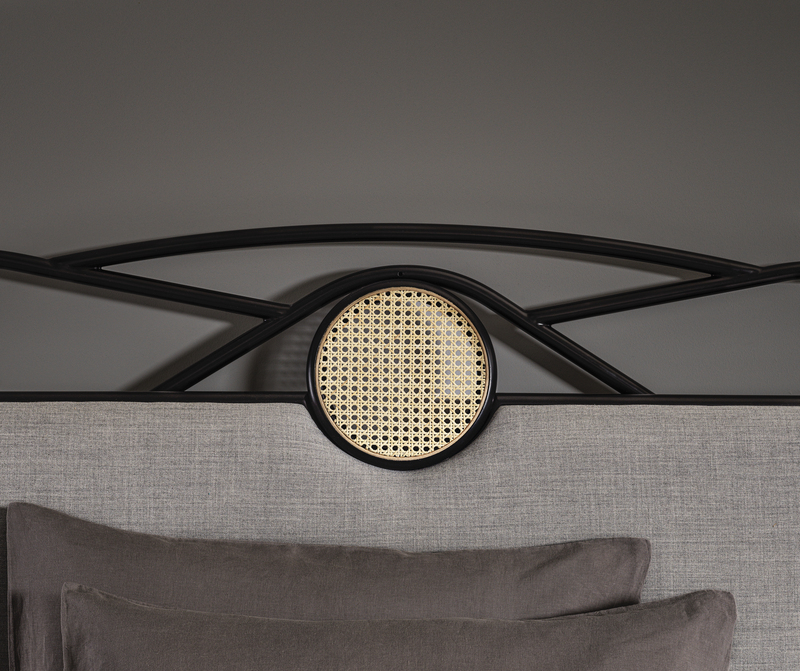 With an eclectic freshness to its graphic style, YVETTE catches the eye for its curved profiling in black lacquered wood and black tubular metal, which creates a delicate pattern on the wall. 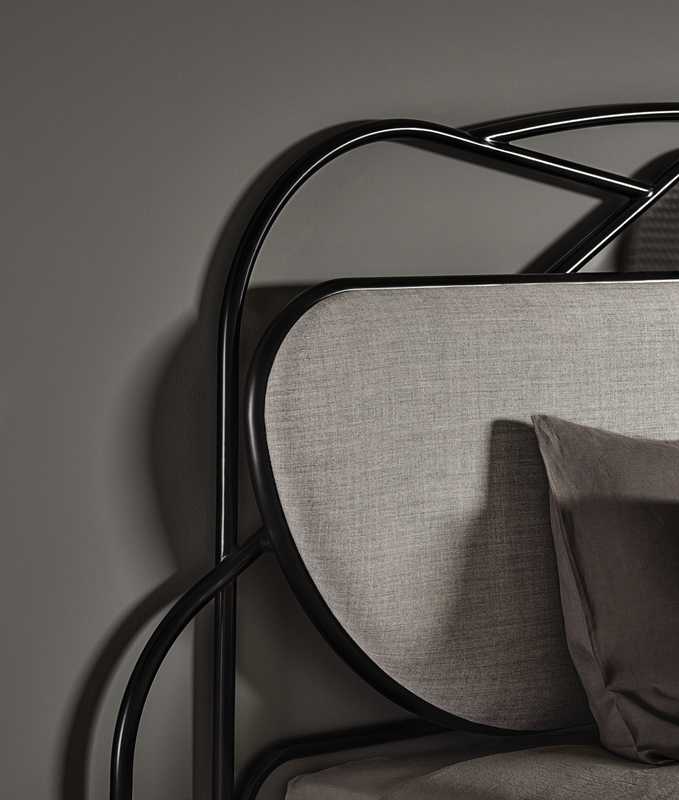 The upholstered central panel brings softness to the design, counterbalancing the round decoration in woven cane, which is synonymous with the brand.